sale1, originally uploaded by losmedanosart. 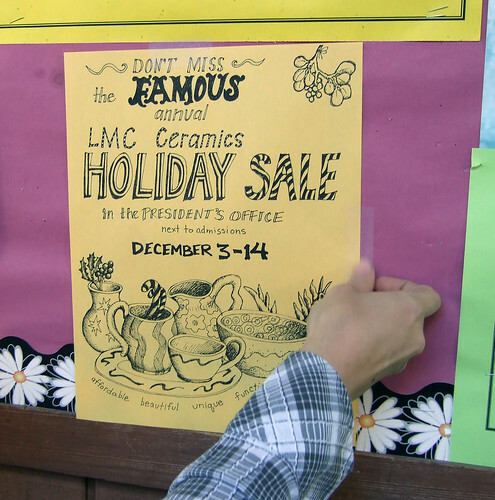 The annual LMC Ceramics Holiday sale is happening in The President's office until December 14. You could buy a bowl or zombie and not only make your life better, but support the Art Department as well. What's Christmas without something breakable? Shop now.